Any thoughts or opinions expressed in this post are 100% honest and 100% authentic. Some banners and links below, marked as (af), may be affiliate links. Clicks on affiliate links provide a small percentage of each sale to Dadtography.com. We hope you'll support this product, as we truly believe it's a good one! What is Aurora HDR 2018? Learn more about the latest updated to the Aurora photo editing software. When is Aurora 2018 coming? Learn more about when the 2018 version of Aurora will be available. Learn more about features and changes made in Aurora HDR 2018. What is the pricing on Aurora HDR 2018? Learn more about how much the latest version of Aurora HDR will cost - including existing users and for new users. Dadtography did a full review of Aurora HDR 2018. Click here to read our thoughts on this version of Aurora. Aurora HDR 2018 is simple, it's fast and it's powerful. You've seen stunning HDR photos and wondered how they did it. This is how! Aurora HDR 2018 - Try It Free! 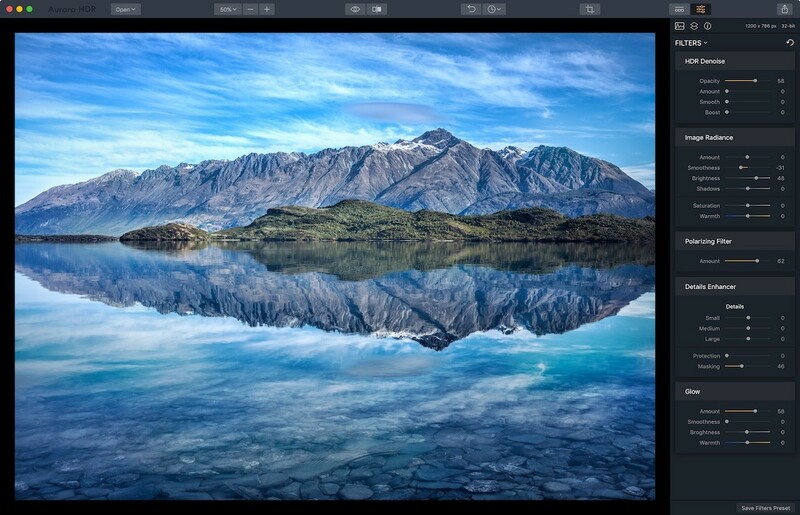 Aurora HDR 2018 (af) is the latest version of the popular photo editing suite. This is hands-down our favorite specialty high dynamic range photo editing product. All of the photos you see on this post were edited exclusively in the latest version of Aurora HDR 2018. Be sure to use code DADTOGRAPHY for $10 off your Aurora HDR order! Aurora HDR 2018 (af) is the latest version of the popular photo editing software by Macphun (af). HDR is just a fancy word for really high contrast in a photo or TV picture. Good HDR photo editors, like Aurora HDR Pro, take multiple shots of the same photo at different exposures, or "brackets", and smush (super technical there) them together to make one super awesome image. The reason you use multiple images is because different aspects of the image are emphasized with more or less light. Aurora HDR is not just a tool for merging bracketed images, it provides a whole editing suite of options to create just the right high dynamic range look for your best photos. It's similar to other editors in that it offers one-click presets and advanced tone-mapping, layers, noise reduction and luminosity masking controls. It's not like the others because it offers all of this functionality in an interface that's actually easy to use. I’ve used both Aurora HDR and Adobe Lightroom. Here are the major differences between these two photo editing software tools from a non-pro perspective. When will Aurora HDR 2018 be available for pre-order? Aurora HDR 2018 (af) will be available for pre-order on Tuesday, September 28th. Existing users of Aurora will receive special pricing. See below in the pricing section for more information. What is the release date for Aurora HDR 2018? Aurora HDR 2018 is now available! Be sure to use code DADTOGRAPHY to save $10 off your order! What are the new features and improvements in this version of Aurora? I have to admit, I'm pretty excited about the new version of Aurora HDR that's coming out. A more complete list and explanation of what's new and improved is listed here. Easily the biggest "news" with this release of Aurora is that it will also be compatible with Windows computers as well. Cross-platform version - Aurora HDR 2018 will be available both for Mac and PC (Windows) users. Files are interchangeable and mixed-computer households can share the same product key. What is the pricing for Aurora HDR 2018? Aurora HDR 2018: Apple's "App of the Year"
Do more with the photos you take! Aurora HDR 2018 is your total high dynamic range photo editing experience with the most complete set of tools available. The newest version of Aurora HDR is now available.